But if you look closely at the picture. 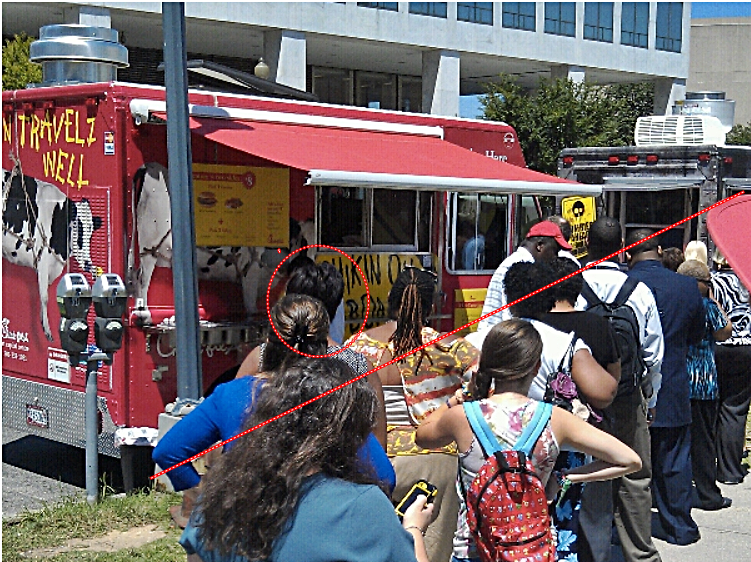 The long line of customers are going to the grey truck in front of the red Chick-fil-A truck. And there is only one person who looks to be at the Chick-fil-a truck window. C’mon NOM you have to try harder than that. People! You do NOT have to miss Chick-fil-a chicken sandwiches! Make them yourselves! I tried this on my family twice and they could not tell the difference. Buy a bag of frozen waffle fries, fry up the sandwiches , deep fry or oven bake the fries and Voila! : 3 meals for the price of one! Awwww. We have the recipes posted here. tell him to not be so lazy and make them at home. I’m gonna miss their spicy chicken!